This coastal ribbon of microscopic algae, up to 40 miles wide and 650 feet deep in places, is flourishing amid unusually warm Pacific Ocean temperatures. It now stretches from at least California to Alaska and has shut down lucrative fisheries. Shellfish managers on Tuesday doubled the area off Washington's coast that is closed to Dungeness crab fishing, after finding elevated levels of marine toxins in tested crab meat. 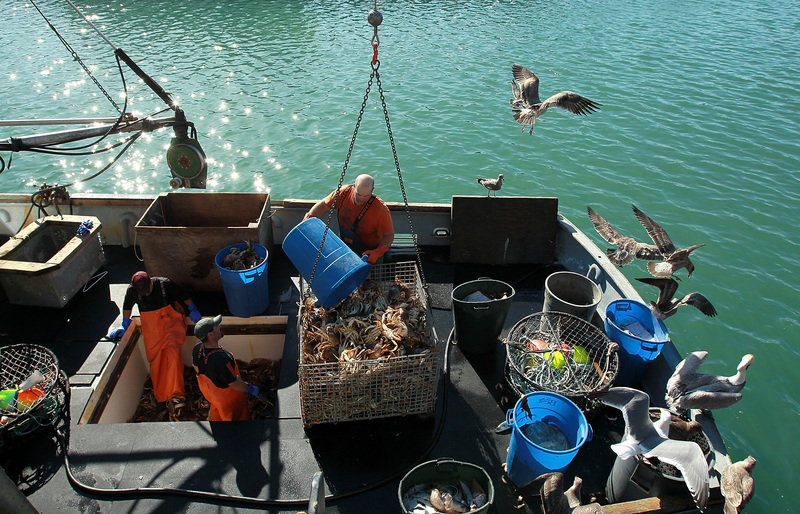 Dan Ayres, coastal shellfish manager for the Washington Department of Fish and Wildlife, said the area now closed to crab fishing includes more than half the state's 157-mile-long coast, and likely will bring a premature end to this year's coastal crab season. The survey data should provide a clearer picture of what is causing the bloom which is brownish in color, unlike the blue and green algae found in polluted freshwater lakes. Marine detectives already have a suspect: a large patch of water running as much as 3 degrees centigrade warmer than normal in the northeast Pacific Ocean, nicknamed "the blob." Kudela told CBS News in June, "It's definitely the largest bloom of this particular algae seen on the West Coast, possibly anywhere, ever." In May, ocean researchers from the Monterey Bay Aquarium Research Institute (MBARI) measured concentrations in the bay and found they were 10 to 30 times higher than even the high end of a typical Pseudo-nitzschia bloom. Each year California imposes a six-month moratorium on recreational shellfish harvesting from May through October, when the chance of toxic poisoning is highest, and enforces strict testing of hauls from commercial fisheries.